has taught K-5 English learners in ELD, bilingual, two-way immersion, and Migrant Education settings in California and Oregon. She instructs a variety of professional development inservices and university courses that cover topics such as strategies and foundations in the education of language minority children, SIOP, Systematic ELD, language acquisition and professional learning communities. She has worked as an elementary ELD Consultant/Coach in Southern Oregon. She is currently a professor at the University of Oregon. 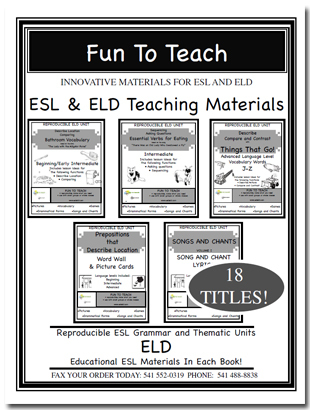 Provide fun, fast, engaging professional development that supports teachers of ELD. Above all to promote the academic success of English language learners.